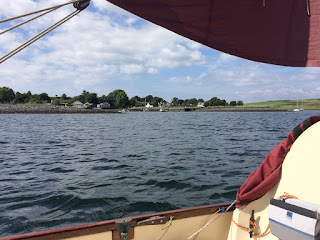 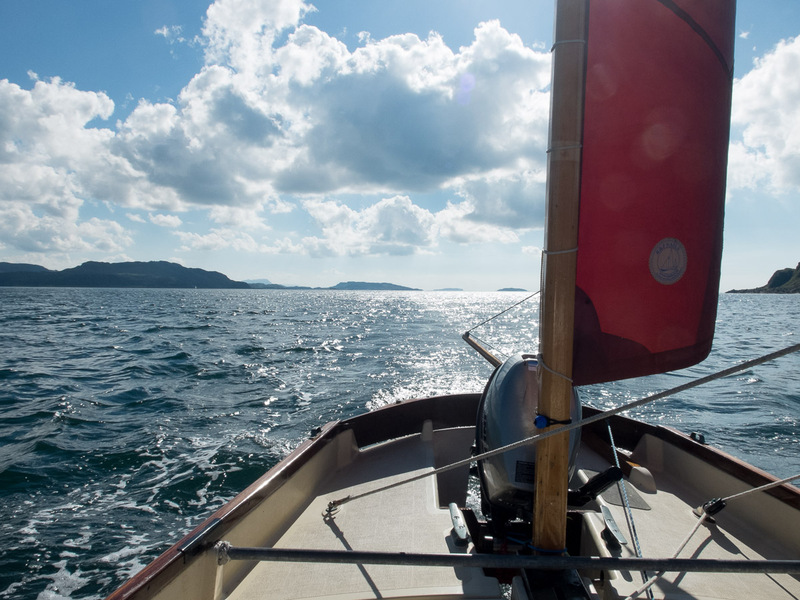 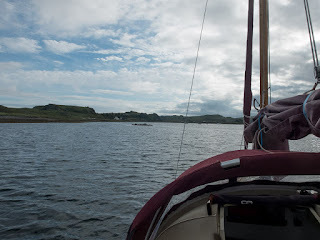 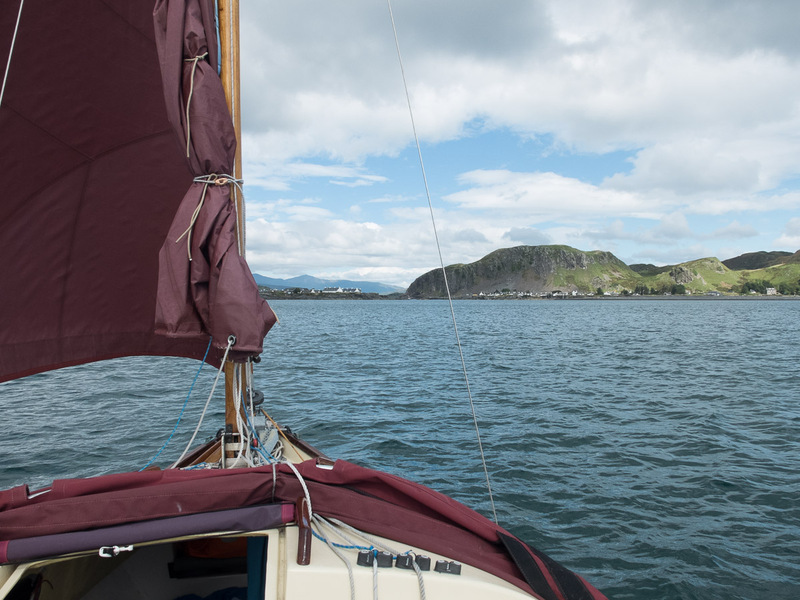 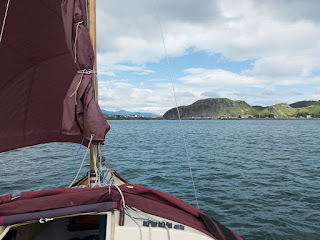 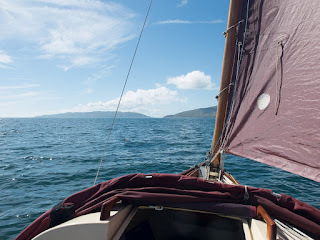 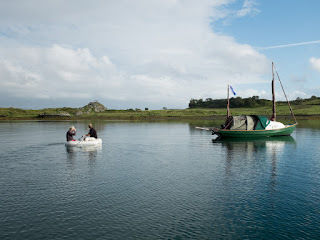 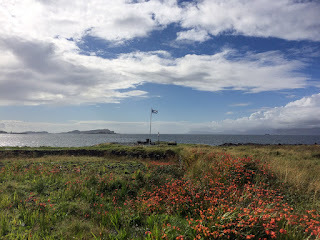 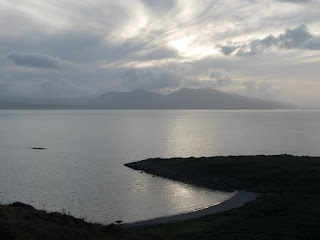 After passing through Cuan Sound it is a short sail to Easdale, under jib and mizzen. 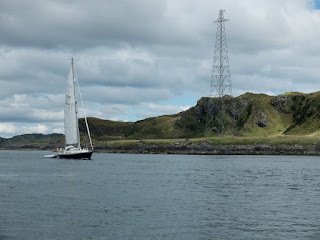 Easdale is 16 miles south of Oban. 'Eilean Eisdeal', the Easdale Island Community Development Group, is a charitable organisation run by residents and friends of the island to carry out projects on the island of benefit to the community and with the long term aim of regeneration and sustainability for the island. 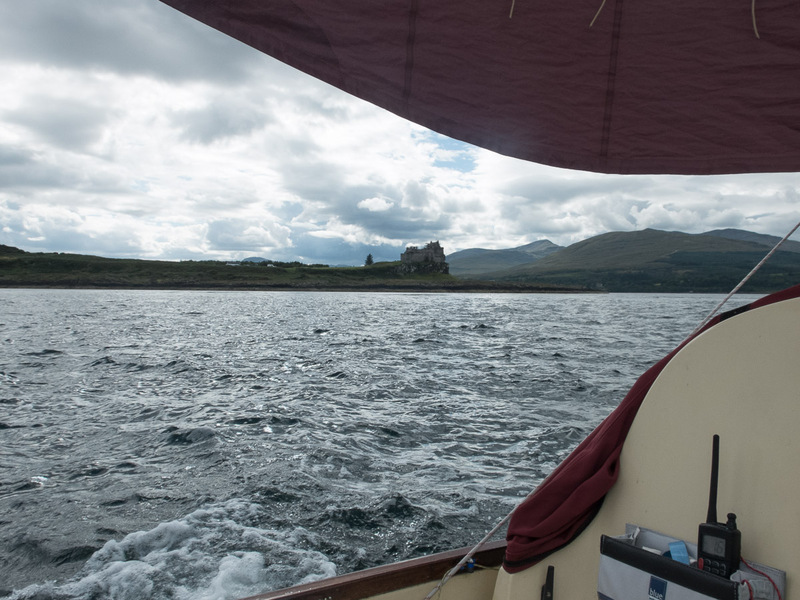 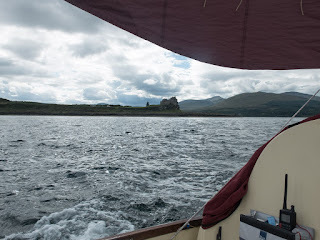 Passing Duat Castle on the Isle of Mull with a following spring flood tide, which continued to flow all the way up the Sound of Mull to Loch Aline. Trying to head south against this flow would be difficult. There is plenty of room to anchor in the SE corner of Loch Aline. The pilot indicates that this area is full of moorings, but a shoal draft boat can come inside these and anchor on the 5 metre contour. 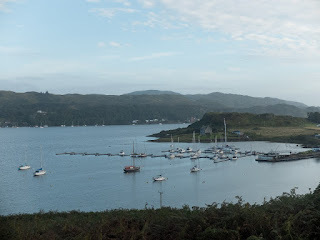 There are pontoons on the west side of the loch which gives easy access to the village of Lochaline. 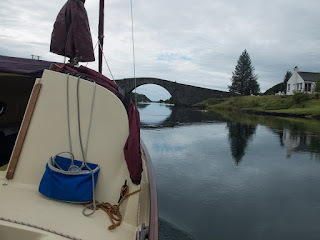 There is also an old quay wall, with tyres hanging down, at the village which would provide a temporary stopping point but is in tidal flow, which is quite strong and would not be recommended for a long stay. 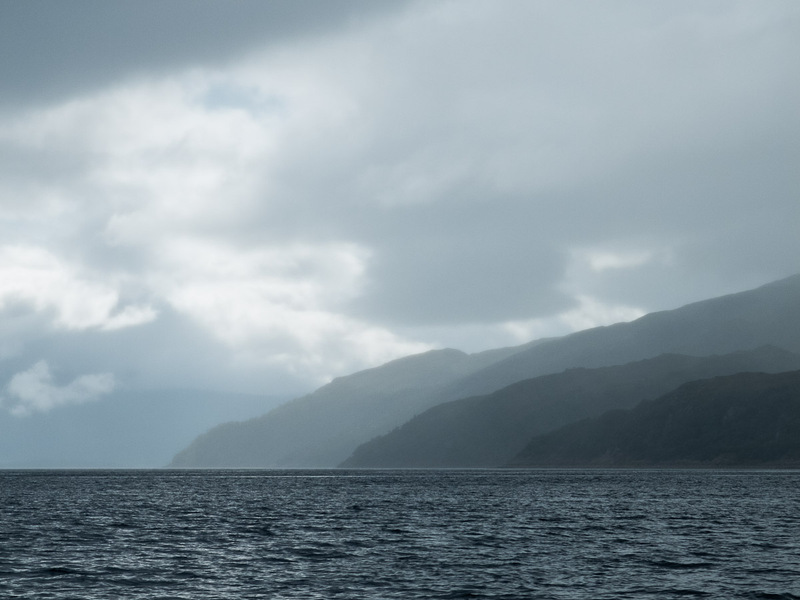 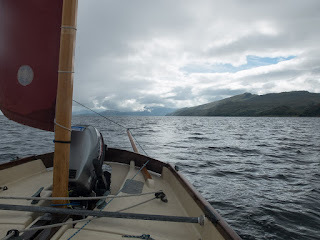 Heading north in Loch Linnhe, looking back at Rubha An Ridire. There are a number of well protected anchorages at the north end of Lismore, in Port Ramsey. 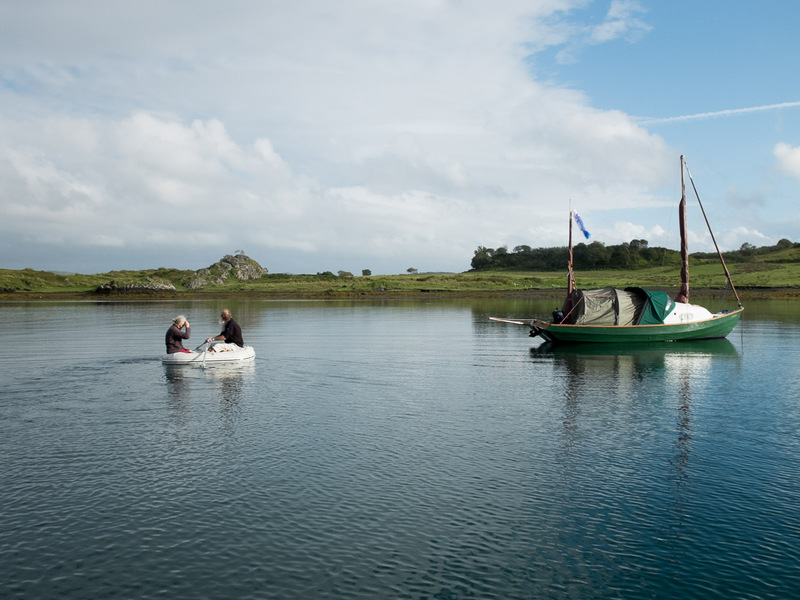 The most protected is a pool on the east side of Eilean Droineach. 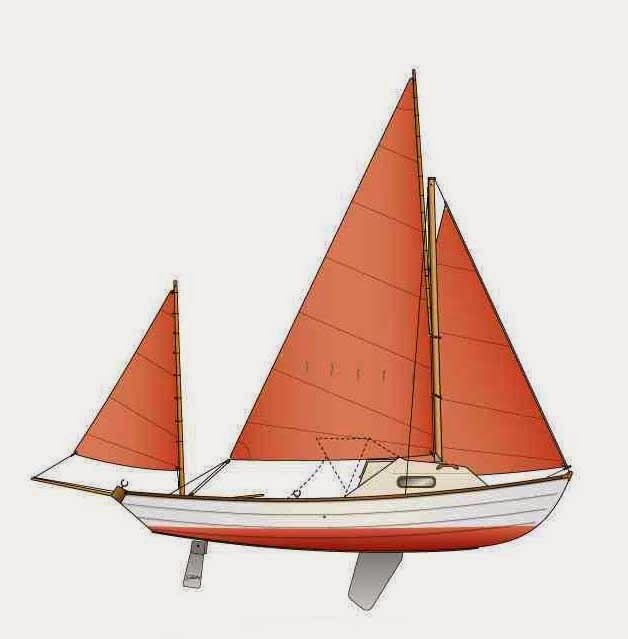 The chart shows the entrance to the pool has only 0.4 metres of water at LWS, so this should keep the big boats away! 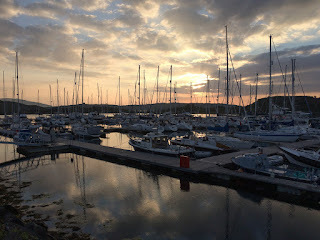 Oban marina is currently up for sale, but it provided a good stopping off point and gave easy access to walking on Kerrera, which would easily occupy a day. The marina charged £16 for a pontoon and showers were £1. Water comes from a spring and it is recommended it is boiled before used for drinking. 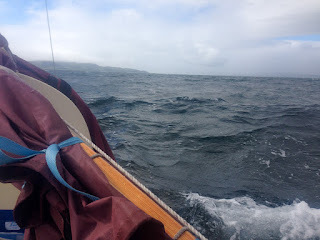 Heading south through Clachan Sound at high water, there was quite a strong south flowing current. 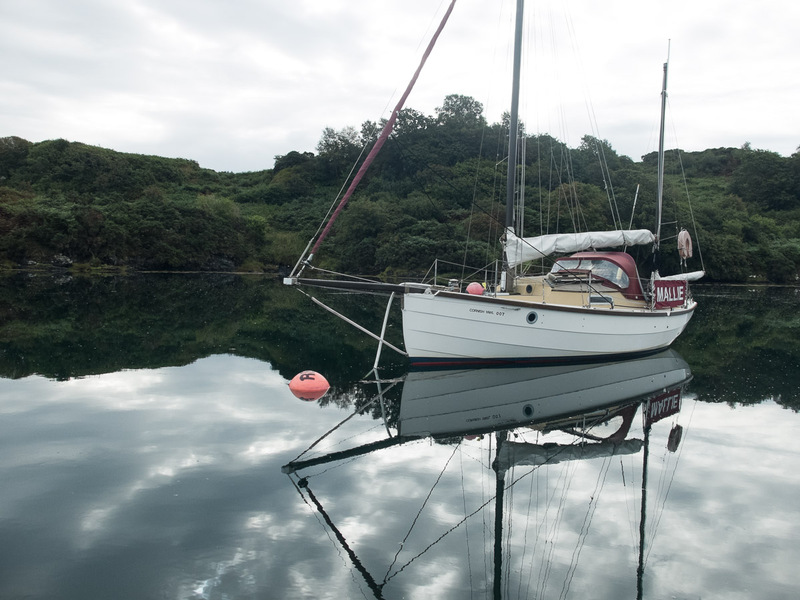 Anchored in Ardinamir Bay, on the east coast of Luing, this provides a very sheltered overnight stay. It is easy to walk over to Cullipool and visit the Atlantic Centre, which has an excellent café and exhibition about life on the island. 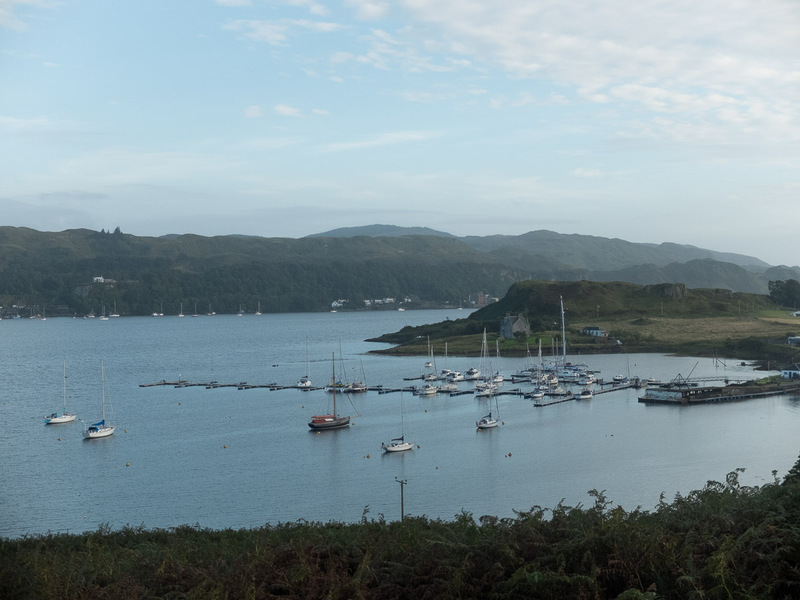 There are now five moorings on the west coast next to the village, which are run by the community.